To the extent that space is available, the District welcomes community groups and organizations to utilize our buildings, facilities and grounds for purposes compatible with the District’s mission. The Ebbetts Pass Fire District’s (EPFD) primary function is to provide for life and property safety of the communities, citizens and visitors of the Ebbetts Pass Fire District. As such, programs consistent with the District mission hold the highest priority for the use of all District buildings, facilities and grounds. 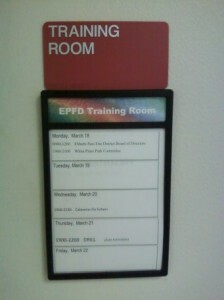 As a public entity, EPFD also seeks to reach out and be accessible to the larger community. 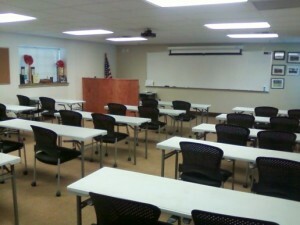 The scheduling of classrooms and training grounds, is the responsibility of the District’s Main Office. Appropriate Use: Facilities are most appropriately used by administrative or duty staff and by organizations recognized by the District for activities and for public events. Facilities may also be used by groups or organizations sponsored by other public entities or organizations recognized by the District. The amount of space requested for an event must be reasonable and within the defined space capacity of the facility(s) for the requested need. Neither the timing nor the duration of the activity in the requested facility can conflict with the District’s primary missions or the facility’s priority use. Recognized organizations may sponsor programs that include religious topics in District’s facilities. Use of District facilities are governed by the Board of Directors. However, use of facilities may be granted for the purpose of conducting religious worship provided such services shall not be conducted on a regular or continuing basis.